Numurkah dwellers who started prep in 1970 through to Year 12 in 1982 are invited to this event – here at Numurkah on the weekend of the 29th to 30th October 2016. 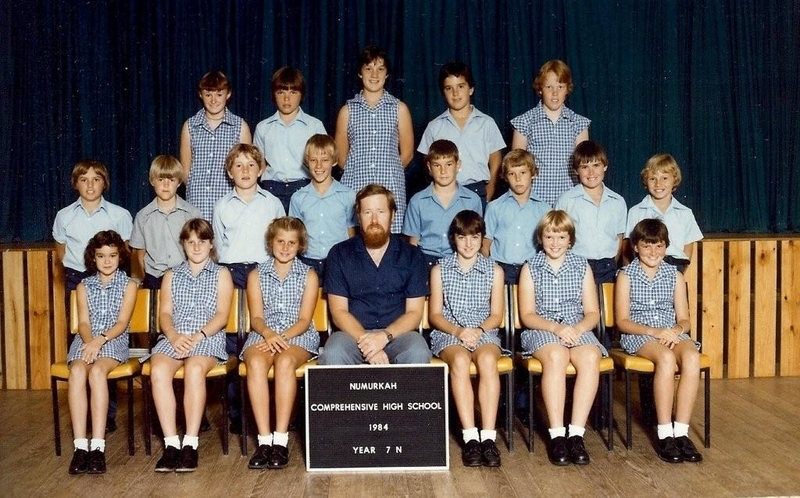 The person in charge is Ann-Maree Minogue – you can find Ann-Maree by searching for the closed Facebook group called “Numurkah School 1970 prep – 1982” and send a request to join the group. Enjoy the memories everyone! Our group has pencilled in the June 2106 long weekend Sat 11th @ the Shamrock Hotel (6.30pm) and then the Sunday (12 noon) @ Telegraph for a BBQ. Cost $20 per head. Partners and students from 1971 & 1973 are also welcome. Your friendly organiser is: Paul Simpson. Venue: Shamrock Hotel – Numurkah Date: Saturday 29th March 2014 from 12 noon. You are invited to come along with your partner and catch up with your old school mates and make this a great day! Contact: Kevin Hansen kevjo@optusnet.com.au NOTE: This event is not STRICTLY for 56er’s, we welcome any students, staff, bus drivers, etc that were associated with the New NHS in Tocumwal Road during the late 50’s…. around 1956 through till 1961. Met on 3rd May 2013 at the Shamrock Hotel @ 6.30pm. Contact was Aline Green via Fay Scadden at the College on 58621088. This an annual dinner (1st Friday in May – at the moment), the more the merrier! Are having a reunion on Saturday 7th Jan 2012 at the Telegraph Hotel Beer Garden (Numurkah). 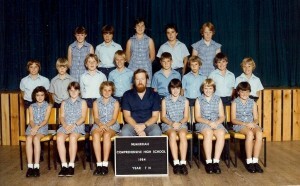 There is a facebook page titled Numurkah Secondary College (1986-1991) Reunion which you are welcome to join. Ex students are asked to email their details to nscreunion1986-1991@mail.com. Reunion date: 17-18 April 2010 – Contacts Howard Lowe 0358622224 howlow@mcmedia.com.au or Laurie Cook cookli@bigpond.net.au – Saturday: Registration 1pm & tour of School, 6pm Dinner (2 course buffet) at Shamrock Hotel @$26 – pre-pay with booking. Sunday: 9am Registration & tour school. 12noon BBQ lunch (pay on day). Bookings required by April 10 2010. Group had a reunion at the Olive Grove in Shepparton March 2008 and they are planning another one…. Click on the 1956 year to find out more…. have an annual gathering each year in October/November. Contact David.j.bell@telstra.com or 0417501503 or Diane Symons (nee Finlayson) on 0409821040. Click on the 1968 year to find out more…. 2008 was @ GV Hotel Shep for dinner. photographs here. 2009 in Shepparton again. Saturday November 7th. If you would like to have your story (what has happened in your life since leaving NHS) printed could you e-mail Elaine also before the 5th March. planning one for March 2012… contact Janet Stevens…. Jeanette Adams & Corrinne Finch are organizing a reunion on weekend of 17/18th March 2012. We are seeking others who joined NHS in this year to come along to the Shamrock Hotel on sat 17th for dinner. Held a reunion on Saturday 6th December 2008, Shamrock Hotel. Contact Skye Kirne on 0437 086 063 . Skye is also on Facebook…. This group held a reunion on the 6th & 7th June 2009 (long weekend) with a 3 course dinner (at The Mary McKillop Centre St Joseph Primary School Numurkah) and the College opened briefly on the Sunday for people to have a look and reminisce the good and the bad… Contact: Nicole Watson (nee Austin) 0438623701 orndkaca@bigpond.com. Had a get together on the 31st October 2009 at the Numurkah Golf Club… contact is Jamie Ward 03 54 481 300 during business hours. 1972’ers turning 50 in this and the previous financial year(or 2) will be having a birthday bash at the Shamrock sat 17th July at 6.30 p.m. If you have had your b’day and have a “Badge” some lovely person gave you, this is your chance to wear it again, we know you love it! Looking forward to seeing you all again. ( I think we’ll need name tags by this age) Grey matter takes a while to retrieve stored info. Is there a 50 yr reunion for 1967’s this yr?